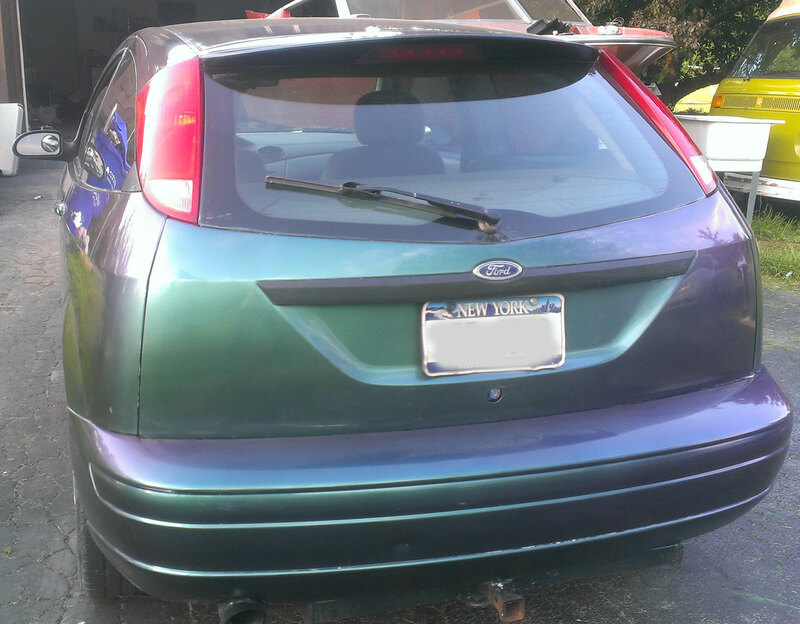 This car looks great with our red green blue 4739RG Colorshift Pearl . It has a lot of curves which really shows off the color shift effect of the chameleon. 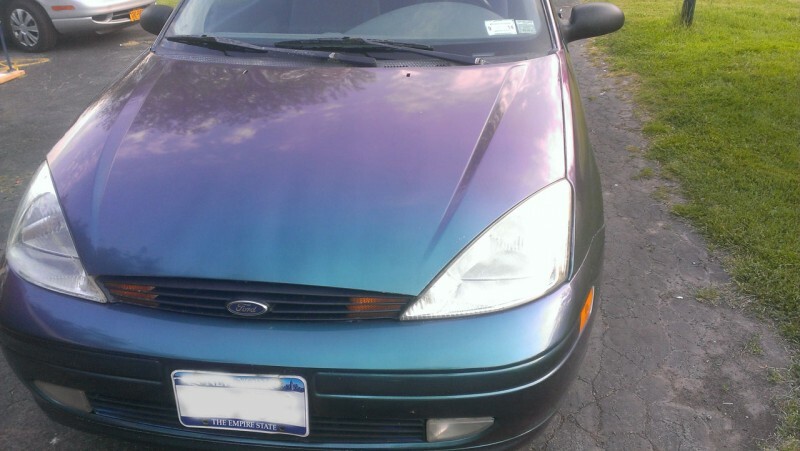 I tried the red green blue chameleon color shift 4739RG on my old ford focus because I’m a physics teacher and I wanted to demonstrate the concept of refracted waves constructively interfering with the reflected ray. 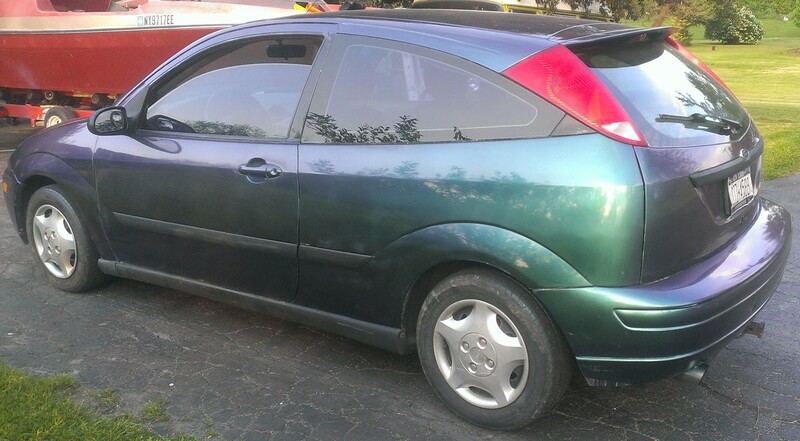 My old ford focus was a good candidate because I had to change a fender, hood and bumper after hitting a deer. It looked pretty bad already so I had to paint it. Using your additives over black base coat wound up being Cheaper than buying the original color. I works so nicely, I want to buy a car at auction and try the other additives. I asked the guy at the local paint store why they don’t carry the color shifting paints. He told me it was $400 a pint and no one wanted $4000 a gallon paint. 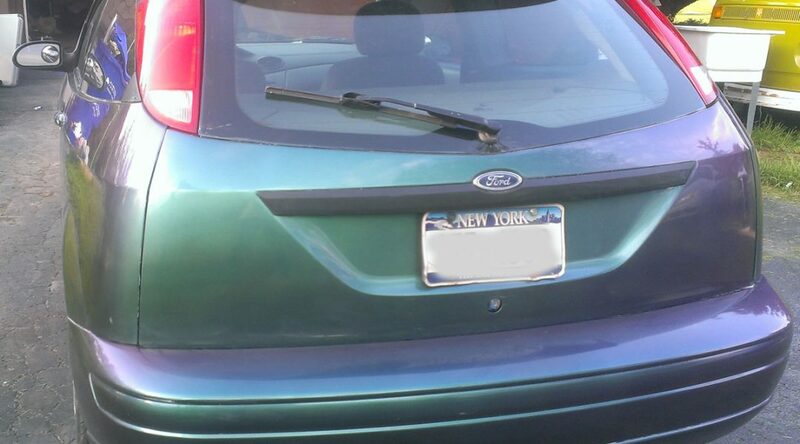 Should I tell him?